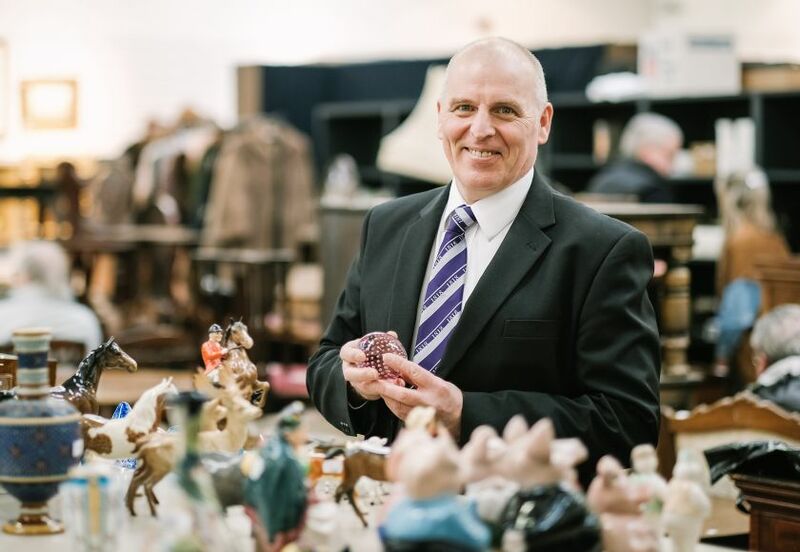 At our weekly antiques, vintage, collectable and clearance auctions, you will find over 500 lots of affordable antiques, quality collectables, vintage items, and an A to Z of objects from house clearances. You could discover a box of seashells to start a collection or project, a travelling trunk as statement storage, sheet music to reignite a passion, a tea trolley, rocking chair, books, rugs, sideboard, cutlery, brass and copper ware, or even an oriental coffee service. All of which are ideal for bringing to life the rooms you spend time in. With estimates in the low £10s and rarely exceeding £100 per lot, this is the place for those on a lower budget as you are bound to bag a bargain. It’s also a great place for those who are new to buying at auction. There’s always a member of our friendly team on hand to help with any questions and to give you a boost of confidence to get you started. They will explain the different ways to bid and how buyer’s commission works. These auctions are an important part of our valuation and sales offer. Any items that don’t fit into our other item categories belong here. They are very quickly catalogued, photographed and made available for sale so the turnaround from you wanting to sell something to it being sold is quick. Our weekly sales have a strong and loyal following, it’s how we got started over 200 years ago, so relatively few lots remain unsold. Viewing for our weekly auctions is on Friday afternoons between 2pm and 4pm and on Saturday mornings between 10am and 1pm, which means you can combine browsing with brunch at our on-site cafe, Cafe Ambio. You can also view on the morning of the auction from 8.30am - before one of our auctioneers takes to the rostrum for the 10am start.